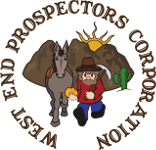 WEPC Claims | West End Prospectors Corp.
WEPC has a total of 9 claims located in gold bearing areas in the desert, mountains and on the gold bearing rivers in northern California. The claims are proven to produce gold by dry washing and metal detecting. The river claims are great for high-banking and booming. Members are free to work the claims and keep all the gold they find. There are limitations on how long a member may work a claim as it is not permissible to live full time on a claim. Three claims in the Holcomb Valley near Big Bear. One 160 acre claim in the Coolgardie area near Barstow. Two claims in the Rand Mining area near Randsburg. One claim on the Klamath River. One claim on the Yuba River. One claim in the Chuckwalla Mountains near Desert Center.